Stranger in a Strange Land is the epic saga of an earthling, Valentine Michael Smith, born and educated on Mars, who arrives on our planet with "psi" powers--telepathy, clairvoyance, precognition, telekinesis, teleportation, pyrolysis, and the ability to take control of the minds of others--and complete innocence regarding the mores of man. After his tutelage under a surrogate father figure, Valentine begins his transformation into a kind of messiah. His exceptional abilities lead him to become many things to many people: freak, scam artist, media commodity, searcher, free love pioneer, neon evangelist, and martyr. 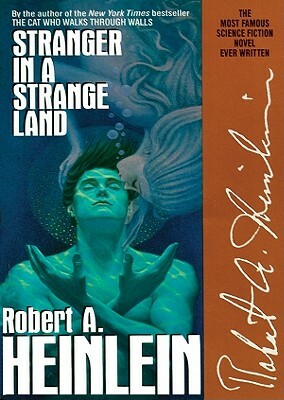 Heinlein won his second Hugo Award for this novel, sometimes called his "divine comedy" and often called his masterpiece. This Blackstone audiobook is the "as published" version, read from an Ace paperback published in 1987. The full, uncut text was not made available until 1991.